During my time as a stay at home dad, there has been no more exciting time of year than summer, even with humidity, pests, and odors at their worst. This is for two reasons. 1) There is so much to do during the summer in New York City: concerts, sports that range from U.S. Open Tennis to baseball to Women's Basketball, and a suprising amount of free events. 2) I have spent decades working during summertime, without extended periods of time to have fun. So, having time for adventures and fun with my daughter during the summer is the gift that keeps on giving. It's not just fun for me by the way. Check this out! 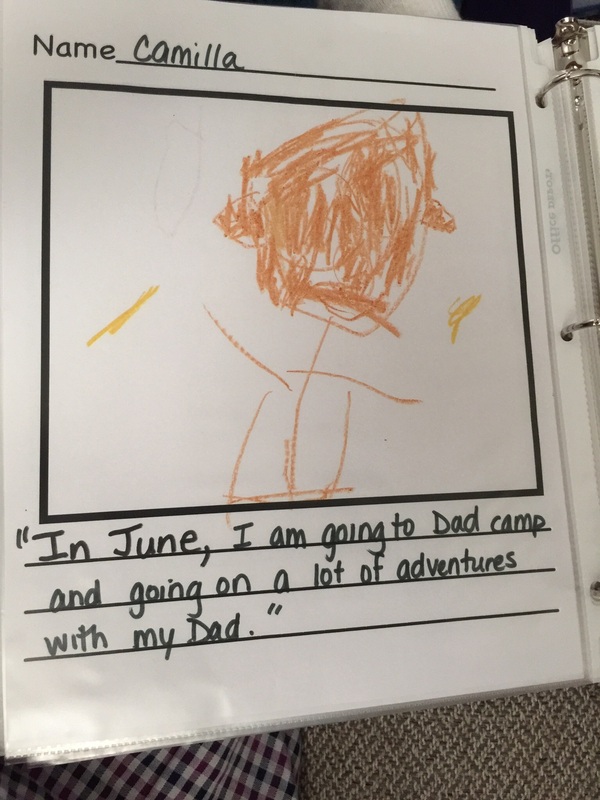 My daughter shared with her teachers her excitement for #DadCamp! What are some of the things we're excited about doing during #DadCamp 2015? 1) We're heading to the Museum of Modern Art to view Jacob Lawrence's Migration Series. This collection has great cultural significance. 2) We're headed to a baseball game. My daughter still views baseball as her favorite sport and asked to attend a game. 3) Lunch with friends. It's time to catch up with some of my daughter's old pals from her preschool. 4) Speaking of food, we will also be cooking. 5) A trip to the Gugenheim. One of my personal favorite museums growing up as a city kid, it's time to share my love of the Gugenheim with my daughter. 6) A trip to our favorite comic store. 7) Lots of playground visits! 8) And free choice Friday, when my daughter chooses three things to do or places to visit. Follow our adventures on Twitter at @browngothamite and at the hashtag, #DadCamp! Posted on June 5, 2015 by Christopher Persley and filed under HeForShe, The Brown Gothamite, parenting, Why Fathers Matter, Christopher Persley, fatherhood, Dads Behaving Dadly, Dads and daughters, Dad Camp, summer vacation and tagged #DadCamp #dadsbehavingdadly #fatherhood #browngothamite #dadsdontbabysit #teambrowngothamite #sahd #realstrength #heforshe.